People who only trouble the county courts now and again might not be aware that the county court system has gotten itself into a parlous state in the last few years. The Ministry of Justice is of course quite clear that this will create problems for all litigants, not just those in housing and so they are tinkering around the edges with some other ideas to deal with the closures and meet budget restrictions. Trouble is, they are closing the courts without actually having firm alternatives in place first. This has been coming for some time. Back in the good old days, each county court had a listings office, open to the public from 10am to 4pm, where anyone could rock up with their paperwork and hand it in, pay money over the counter and register claims. Then the hours went down to 10am to 2pm and not long after that, in some courts 10am to 12pm. They then came up with the drop-box idea, which was meant putting your application through a letterbox and keeping your fingers crossed that someone would actually do something with it, receiving no confirmation that it had been received or actioned. Fine for routine cases but not so fine when an application has been put in to avert an eviction the following morning when you really need to talk to a human being to set people’s minds at rest and alert the homelessness unit of a possible impending case. The latest piece of nonsense is litigants having to call a designated number simply to make an appointment to stand in a queue the next day and hand their form in and yes, you guessed it, try getting through on that number!?!?! I was hanging on for the best part of 50 minutes a couple of days ago dealing with an emergency while my mobile battery was dying by the second. I was complaining about this to a leading housing lawyer of my acquaintance (not Tessa) who told me that she had recently drafted some paperwork for her client and instructed her to call the court to make the appointment to hand it in and when the client couldn’t make contact she tried it herself and called repeatedly before she even got through only to be redirected to an entirely different court. I only know housing matters, God only knows how the closure of courts and this new pre-calling system is impacting on family law and child custody cases, or any of the other important issues that go through a county court. That aside, once access to the listings offices is actually achieved things don’t exactly run smoothly. “Listings staff cannot give legal advice”. Whilst I can understand that listings staff aren’t legally trained, I know from hearing people talking in the queue, that often all they want is advice on the court procedures or which form to use, not legal advice, such procedural information being what you would think the listings office staff would, in reality, be employed and trained to give. How do you want this application dealt with? What level of Judge does your hearing need? No problems if you fill these in all the time but for many court users a bit of a puzzle, perhaps making the one and only application they will ever make in their life that they might like some guidance on. Explanatory notes often being just as perplexing to a lay person. Last year’s Briggs report on creating online courts from 2020 onwards was clear that housing repossession cases would not be included, so presumably, the current system is the one we will be using for years to come. But my experience and that of others who do my kind of work is that there are massive holes in the process that need plugging urgently. The accelerated application form N5B only requires the landlord to state whether or not the property needs a licence and whether the deposit has been protected and over 2 years in, none of the additional requirement of the Deregulation Act, such as proof that a gas safe certificate has been issued has been added to the form. This is designed for normal, law-abiding people to file claims, having satisfied the legal requirements for doing so but as regular readers know, I work in the area where crooks bend and distort those systems for their own ends and unless the courts address this element then the online system will be a disaster for thousands of people, as it is right now. The crooks usually fill in the form saying the property doesn’t need a licence and if they do acknowledge receipt of a deposit (which is rare) they simply make up a registration number to fit the box. The courts are not required to investigate whether or not the information provided is true, relying instead on the rather quaint notion that everybody tells the truth. If the boxes are filled in, to the judge’s satisfaction the possession order is merely rubber stamped. When we get into court to have the possession order set aside for these reasons, which is several times a month, the Judges have no problem doing so but don’t even comment on the abuse of process that resulted in the order being granted in the first place. Nary a wrist is even slapped. In the past couple of weeks, I have been made aware of 2 initiatives where judges are looking at creating a new form that reduces the chances of possession orders being granted where the landlord hasn’t fulfilled specific requirements and another panel meeting to examine the fallout that occurs when possession orders are granted in error. I can only hope that a suitably robust form will be created as a result, because currently, whilst the courts are looking to reduce court cases and therefore delays for users, in actual fact more court time is being wasted with further applications in defence and seeking to set possession orders aside. Homelessness units are having to rehouse people who shouldn’t have been evicted in the first place and the stress upon the families themselves is enormous. 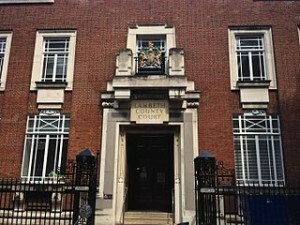 If you want to read the sorry story of the problems associated with the closure of just one court – Lambeth – see this post from Nearly Legal.